Butterflies are loved and appreciated for their beauty, symbolizing new life and showing an affection for nature. A butterfly release is charming in its elegance and simplicity, creating a remarkable statement in the simple action of releasing living creatures back into nature. Many butterflies are kept in each box, allowing dozens of beautiful creatures to enter the air at once, providing a truly wonderful experience for families and loved ones celebrating a special event. 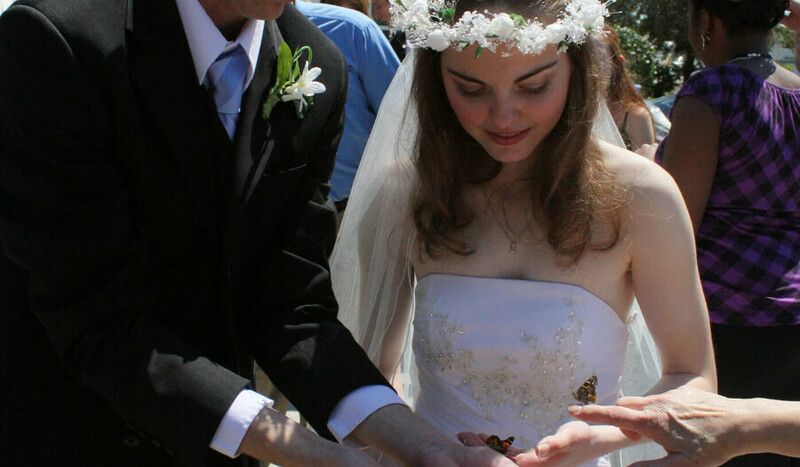 Perfect for incorporating a love of nature into a special moment, a butterfly release is a great way to incorporate a once in a lifetime experience into an occasion you’d like to remember forever. We have 6 different wedding packages to choose from. Click a release package to view more details.